Location matters, which is why our Rochester hotel is conveniently close to the Greater Rochester International Airport as well as the Blue Cross Arena. We welcome a number of guests who are here for studying, teaching or a special event at the Rochester Institute of Technology (RIT) or the University of Rochester (U of R). Special events at the Blue Cross Arena always draw a crowd, too. From the Lilac Festival to the Rochester Jazz Festival, there are plenty of excuses to get outside. Guests at this Rochester hotel might be in town for soccer at Frontier Field, but a trip to the Strong National Museum of Play should also be on your bucket list. A selection of amusement parks, such as the Sea Breeze and Darien Lake, are close. 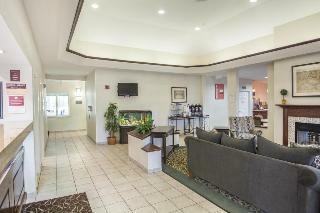 Plus, when you're close to downtown Rochester, you have easy access to an abundance of restaurants and attractions. Visitors to the Strong Children's Hospital enjoy our spacious rooms. 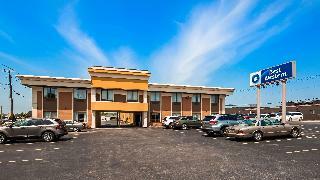 We welcome medical patients as well as visiting physicians and healthcare staff on a regular basis. No matter what brings you to New York, make time for some leisure, such as a lazy day at Sahlen Park, formally known as Paytec Park and just minutes from our property. 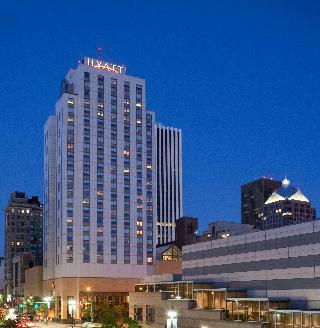 Business travelers with Griffith Energy count on our Rochester hotel to provide the perfect home away from home. Whether it's a meeting with Kodak or a big event at Wegman's HQ, traveling for business has never been easier. A number of guests come here to visit Johnson & Johnson HQ as well as a bevy of other local corporations. We're directly across the street from the airport, with complimentary airport shuttle and free parking for guests, which makes traveling easy. However, top attractions like the George Eastman House and the Strasenburgh Planetarium are also nearby, so you can easily mix in a little pleasure. Make time for the Seneca Park Zoo or Rochester Museum and Science Center. 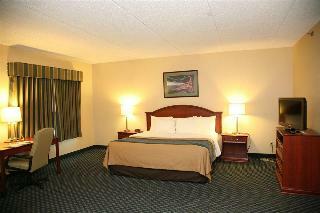 Reserve a relaxing stay at the Best Western The Inn at Rochester Airport today!